The variety of High Ropes Equipment available can make purchasing the right equipment for your course very difficult. We leverage our years of experience in the field and our constant investigation of the newest technology to select the right equipment for your programs at the best price and appropriate quantity. We can also work with your company to organize your records of this equipment. To ensure that you know when it is time to replace equipment, we also create a schedule for inspection and replacement of all vital equipment. Visit our Inspections and Management pages for more information on our yearly inspections and long-term course management plans. 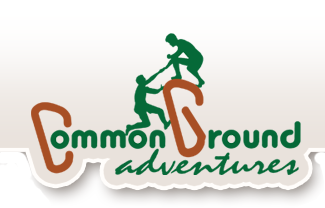 Our Facilitation page has information on training your staff to operate your new course or contracting with Common Ground Adventures to provide trained facilitators.